Discover or rediscover ski touring at La Clusaz. During one week, come discover Yoga or deepen your knowledge of this beneficial practice during the La Clusaz Good Vibes Week. This spectacular and completely crazy event has brought together 150 participants : the objective is to cross the Lac des Confins. It's the end of the ski season at Balme. This new event has already been announced as a great mountain biking celebration. During a weekend, come discover Yoga or deepen your knowledge of this beneficial practice during the 2nd La Clusaz Satiam Yoga Festival. A parade of floats, re-enacted scenes through "tableaux vivants", bread making and folk dances : a day to celebrate our craftsmen and farmers. 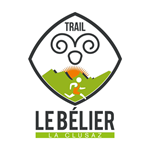 Come in La Clusaz for the week end to participate to the 34th edition of the run and hiking race Le Bélier !